Since 2015, populist narratives have been gaining ever more visibility in Europe with extremist statements on migration becoming more widespread in mainstream discourse. 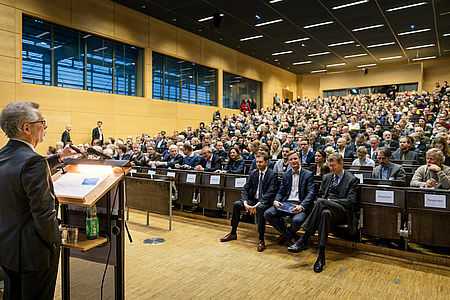 As a result, European democracies are under pressure to deal with the rise in far-right populism and the growing distrust in the liberal foundation underpinning our society. 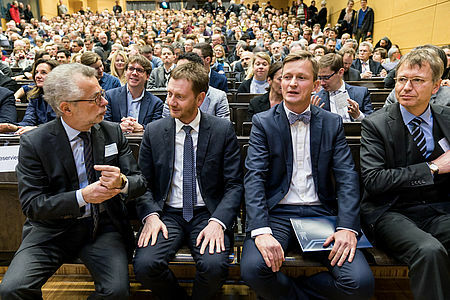 In the run-up to the European Parliament elections in May 2019, migration is expected - once again - to take a dominant role in election campaigns and the political debate. Is migration a trigger or a root cause of the rise of populist forces across Europe? 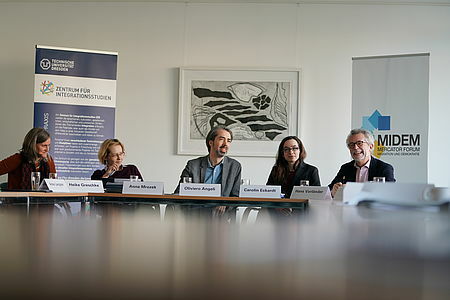 How can policy makers and the media become more aware of how populism shapes the discourse on migration? 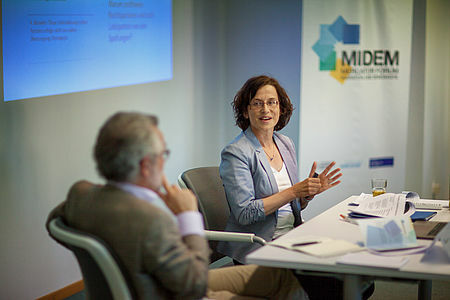 How can we strengthen fact-based communication on migration at European and national level? This Policy Dialogue will address these and other questions. 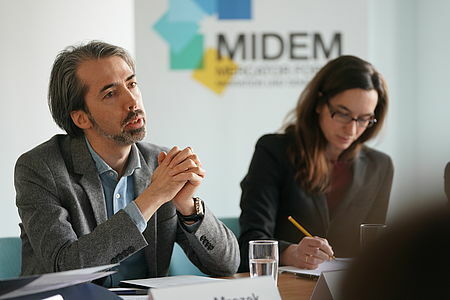 The discussion will draw on the findings of MIDEM’s annual report. In recent years right-wing populist parties in Europe have gained considerable ground. This has resulted in political polarisation and division in society. What is driving voters towards right-wing populist parties in Europe? Is it a fear of loss? Do they feel threatened by migration? Is right-wing populism a symptom of a crisis in democracy, a seismograph for social and economic distortions, an indicator of cultural and global upheavals? 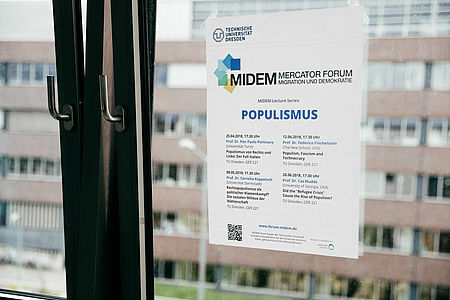 International experts look at these questions within the framework of the MIDEM lecture series entitled “Populism”. You are warmly invited to attend. 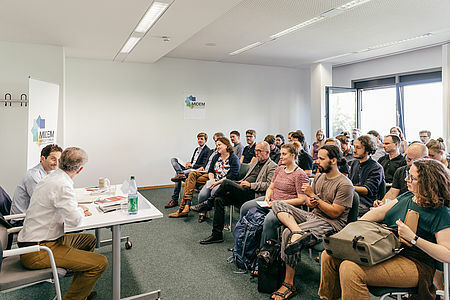 (Right-wing populism as a political class struggle? The domicile requirement as a German integration policy tool? 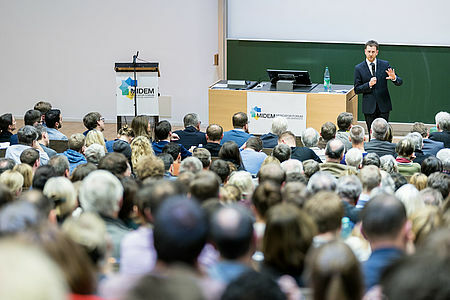 In Saxony a domicile requirement has recently been introduced for recognised refugees. But does a domicile requirement even make sense? And under what circumstances is it permitted? How does it need to be implemented so that it promotes integration? The study “The domicile requirement as an integration policy tool” looks at these questions. 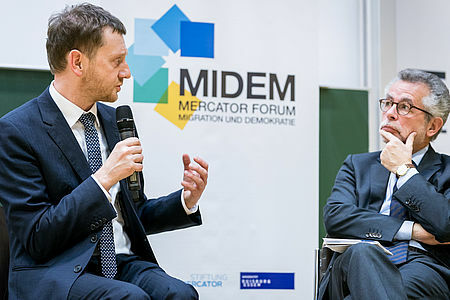 It was authored by the Mercator Forum Migration and Democracy (MIDEM) at TU Dresden and was presented at a press conference by Nona Renner and Prof. Dr. Hans Vorländer on 15 March 2018. 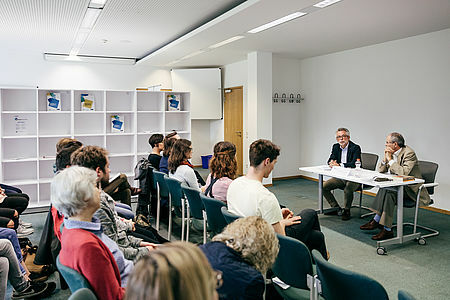 In the study there is an examination of the need and benefits, the use of an allocation formula and ways to reconcile the needs of refugees and the municipalities’ potential for integration. The study is supplemented by examples from other federal states and other European countries. 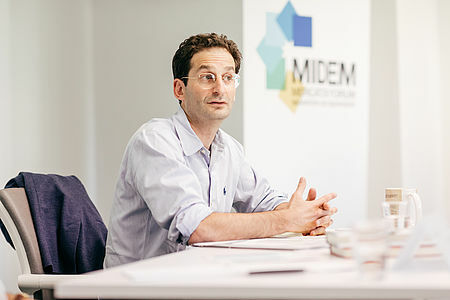 MIDEM subsequently invited experts with practical experience to a background discussion. 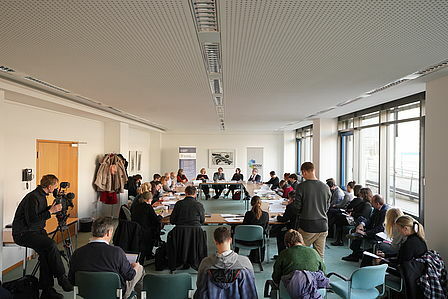 Around 20 representatives from welfare organisations, local authorities, rural districts and ministries discussed the consequences of the domicile requirement and exchanged information and views about their experiences to date as well as about the situation in Saxony specifically. 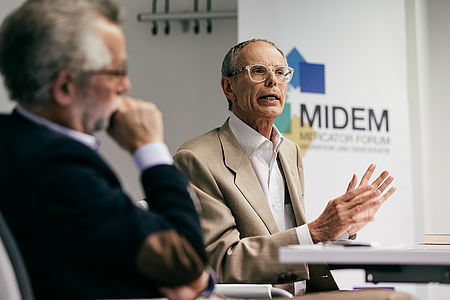 MIDEM will also accompany the implementation of the domicile requirement with academic research in future and with this event it laid the foundation for a network in which research and practice go hand in hand. 21 February 2018, from 11:15 a.m. to 12:45 p.m. 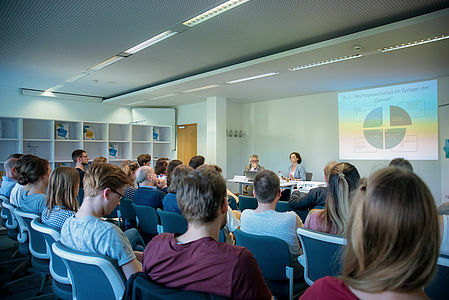 The report was drawn up by the Center for Integration Research at the TU Dresden on behalf of the Ministry of Equality and Integration of the Saxon State Ministry for Social Affairs and Consumer Protection, in cooperation with MIDEM, as well as academics from Leipzig University. The task of the assessment was to analyse the need and prerequisites for and the feasibility of an integration law in the Saxon context. Perspectives from the fields of law, political science and education were included. How can social cohesion successfully be achieved? Migration and populism are challenges for democracy and they can endanger social cohesion. However, does migration trigger social conflicts or is it more a case of problems, which already existed in society, being brought to the surface? How can immigration be organised democratically, thus, with the acceptance of the citizens? 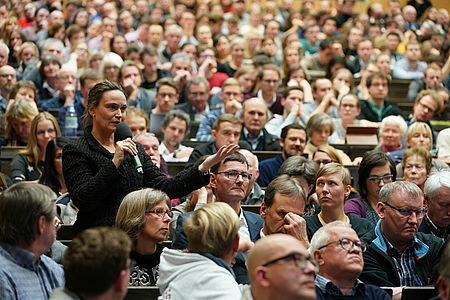 What is the right way to handle populism? How can local problems be solved without losing sight of national and global contexts in the process? 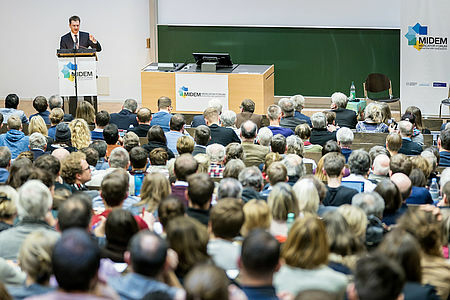 How can social cohesion successfully be achieved in Saxony? 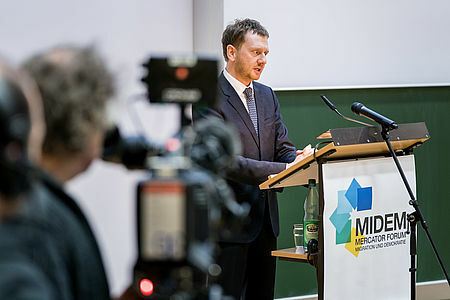 At the beginning of his term of office Minister-President Kretschmer gave a keynote speech focusing on pressing questions pertaining to the area of conflict between migration and democracy and answered questions from the audience.